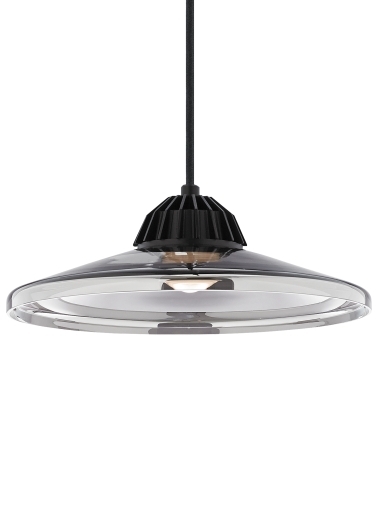 This exquisite handblown glass is made to resemble a classic industrial lighting fixture. It also features Tech Lighting’s Eros pendant LED light source for a rustic modern aesthetic. Includes 9 watt, 700 net lumen, 3000K or Warm Color Dimming 3000K-2200K LED module. Dimmable with low-voltage electronic dimmer. Fixture provided with six feet of field-cuttable cloth cord.